In the face of extreme pressure and heat, the South Africans melted away while some of India’s best forged themselves into an alloy of the finest kind. South African Ernie Els is a world-class golfer who has earned millions of dollars from the sport. Yet he has a reputation for flopping with easy three-feet putts. This shortcoming is derisively referred to as the ‘Els Yips’. He himself says that he would sink them 20 times out of 20 in the practise range, but in tournaments, he breaks into a sweat at these very-short-distance putts. “I easily sink putts from as far as 15, 20, 30 feet. But when it is less than three feet I feel extremely uneasy. I feel disoriented while lining up to the extent that I can’t see the hole," he said. Experts have put down the ‘Els Yips’ to various factors: ‘Pressure’, ‘Choking’, etc. One expert explained it as: "brain spasm that impairs the short game!" Well, whatever it is, one thing certain is that Els has plenty of company in his countrymen when it comes to choking at the finish. Just look at performance in key matches of their national cricket team and its members. They do everything right at most times, except when it is critically needed. In those times they go into a ‘brain freeze’ where legs don’t move, coordination falters, they choose the wrong response, etc. It has happened so often at the finish in South Africa’s cricketing history alone that most observers are convinced that poor temperament is a national frailty. The seven-run loss to India in the third and final T20I encounter is a case in point. 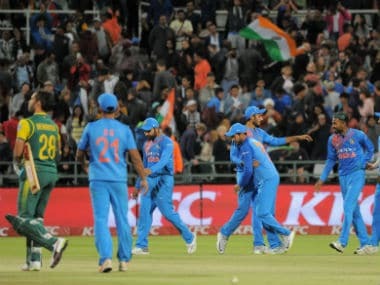 South Africa had everything going for them: India were without master batsman and supreme chaser Virat Kohli; South Africa were lucky with the toss; they were on a high after winning the second T20I and they were playing the crucial series-decider at home where they knew the conditions better and also enjoyed massive support. 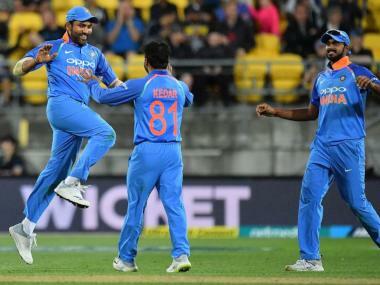 Unfortunately, they ignored their former frailty of failing under pressure and, probably, lulled by the success while chasing in the second T20I, opted to bat second yet again. In any pressure game, batting second would be a challenge unless a team was blessed with batsmen who had nerves of steel. Well, certainly such a trait is not something South Africans have. And it came home to roost for the umpteenth time in their history. Cricket, it is often driven home by coaches, is a game played within the space of the two ears. Much of it is mental, with temperament playing a massive part; in fact far greater than skill. 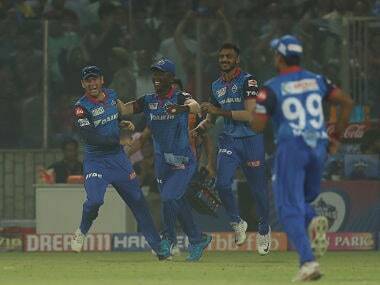 It is here that India scored magnificently. They constructed the parts extremely well, even when they were under fire, to ensure that the whole came through triumphantly. The start, or the powerplay overs, was the key. 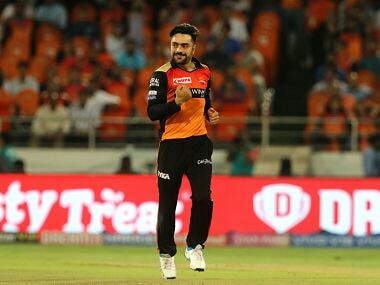 The home team not only gave away too many runs in the six overs (57), they also bowled poorly, fielded awfully and dropped catches. This was despite getting rid of Rohit Sharma and the other opener, Shikhar Dhawan, having an off day. 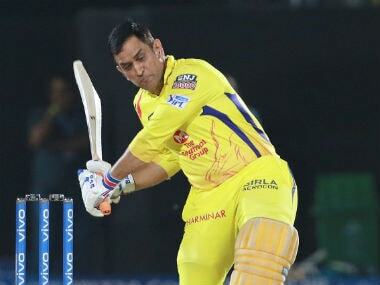 While the Indians, through Suresh Raina (43 from 27 balls) coasted during their powerplay overs, lack of temperament let down the South African batsmen during the corresponding phase. David Miller was sent out to open to specifically target the new ball bowlers. However, he and T20 specialist Reeza Hendricks simply could not put bat to ball with any conviction. 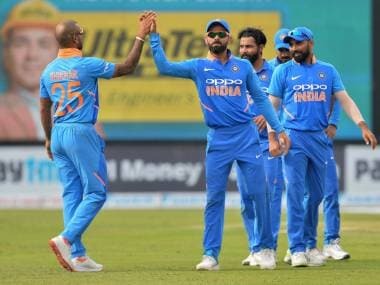 Their timing and footwork deserted them even as Bhuvaneshwar Kumar, Jasprit Bumrah and Shardul Thakur bowled brilliantly. The result was that SA made a mere 25 for 1 in the six overs. 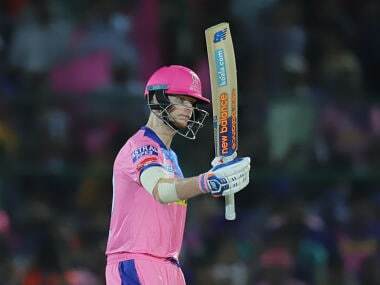 Hendricks (7 runs from 13 balls), Miller (11 from 13) and JP Duminy (6 from 10) failed their side during a critical phase only because they choked under pressure. Later, when they had nothing to lose, Duminy slammed a few sixes. However, just when it looked like he would be a real threat he mishit to be caught at mid-off. Even debutant Christiaan Jonker (49 off 24 balls) looked in terrific touch as long as South Africa had nothing to lose and he had no pressure of expectations. He slammed two sixes and five fours during this phase. 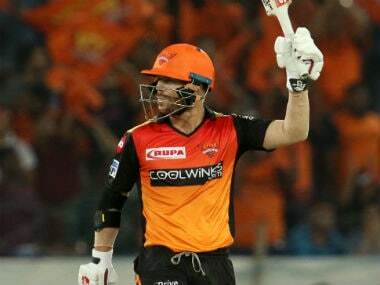 But when victory was within grasp (24 runs required off 9 balls) and SA needed him to seize the moment, his timing went awry and his shots yielded poor results. 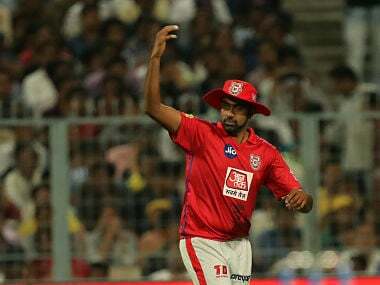 On the other hand, Kumar, despite bowling a wide, kept his nerves and constructed the final over ball by ball. He took his time to set the field and ensured that he would bowl to it. This needed an ice cool, calculative approach and the fact that he gave away singles and twos, rather than boundaries was a testimony to his magnificent temperament when under fire. It made the difference between India returning home with two trophies and India returning home with just one. South Africa might ponder long and hard at their skills level. But ultimately, in crunch situations, temperament made the difference. In the face of extreme pressure and heat, the South Africans melted away while some of India’s best forged themselves into an alloy of the finest kind.